Permissions are used throughout SAP Field Service Management to customize application behavior. Users An account can consist of multiple users. Users refer to anyone with a login to SAP Field Service Management. Companies A company is a grouping of users. “Company” can reflect an actual company, or a department or branch within a company. 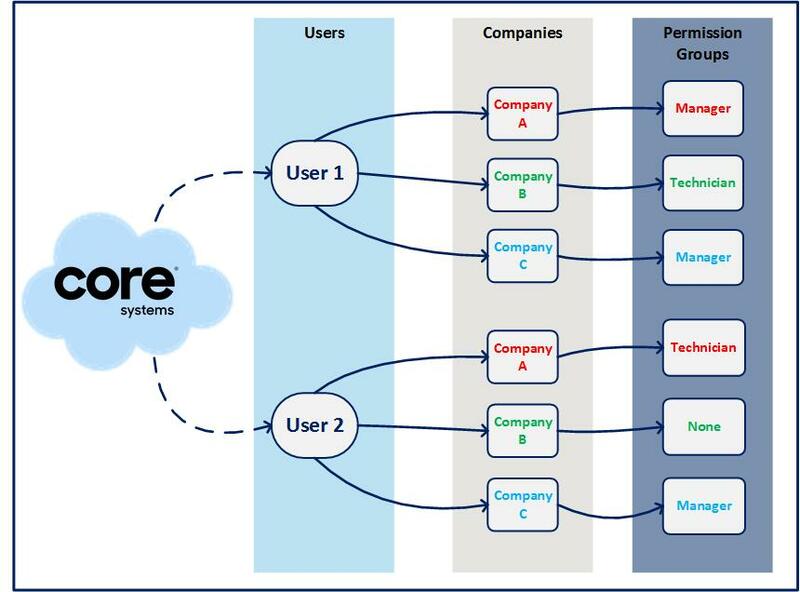 Permission Groups Permission groups are then applied to companies and represent different roles or levels of access that you wish to provide different users within a company. In addition to the prebuilt user groups, you can also create new user groups to customize application behavior for your users. After you have your permission groups in order, you will then be able to associate them with your companies. To do this, you will first select a Business Object whose behavior you wish to modify (example: Activity). After selecting the business object, you will then choose which operations you wish to modify. The basic operations available in the application are Create, Read, Update, Delete. After selecting the CRUD operator, you will then select for whom you wish to apply the settings. Options include: All, Own, and None,which will be applied to the Permission Group + Business Object + CRUD Operator combination. Create Enables users to create a new resource in the application. For example, applying Create permissions on Alerts for Own, you would enable users assigned to the permission group to creat their own alerts in the application. Read Enables users to read resources in the application. For example, applying Read permissions on Approvalsfor Own, you would enable users assigned to the permission group** to read approvals if they have been defined as a decision maker. Update Enables users to update existing resources in the application. 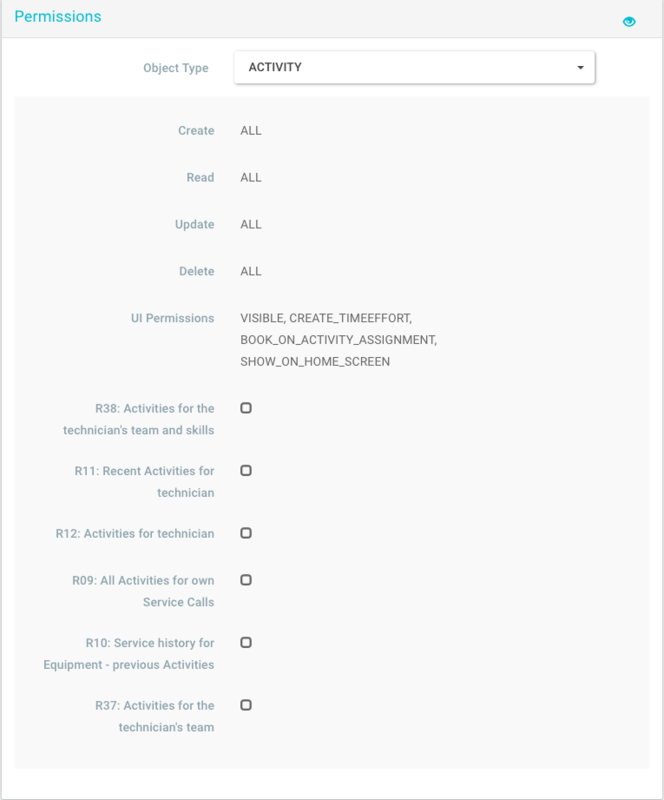 For example, by applying Update permissions on Checklist for Own, you would enable users assigned to the permission group to update their own checklists. Delete Enables users to delete existing resources in the application. For example, by applying Delete permissons on Quotations for None, you would prevent users assigned to the permission group from deleting quotations–even those they create themselves. Note: Not all CRUD operators are available for every permissions setting.